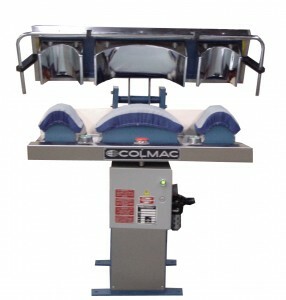 A triple-head press designed to press the shirt collar and both cuffs in one operation. The Magic Touch Bar safety feature is included. Pressing time is adjustable and includes all steam traps, regulators and gauges necessary for operation.